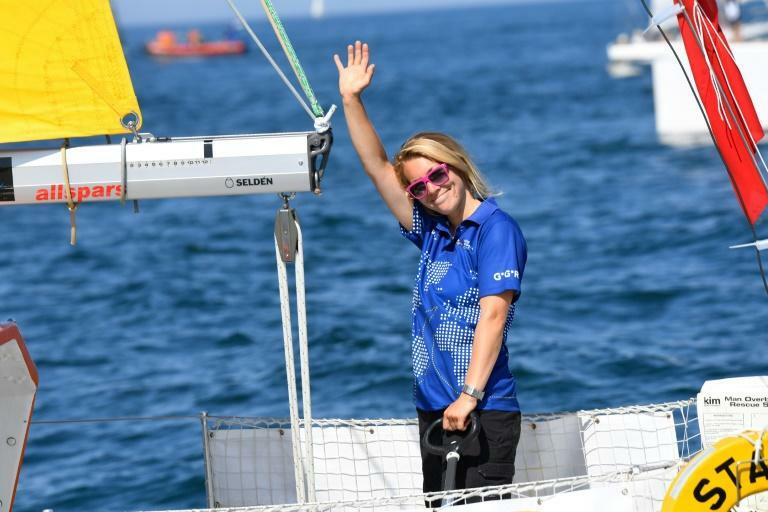 Susie Goodall was briefly knocked unconscious when mountainous seas upended her yacht "DHL Starlight" early Thursday, tearing off its mast and trashing much of her equipment. Goodall was attempting to navigate the southern Pacific's notorious Roaring Forties at the time as part of the Golden Globe Race. "Taking a hammering! Wondering what on Earth I'm doing out here," she texted as the storm hit. "The boat is destroyed. I can't make up a jury rig," she said. "The only thing left is the hull and deck which remain intact. "We were pitchpoled (rolled end over end) and I was thrown across the cabin and knocked out for a while." Race organisers said Chilean rescue authorities had diverted a Chinese container ship "Tian Fu" to pick up Goodall as she patched up her crippled vessel. They said that while "beaten up and badly bruised" she was safe and had managed to bring flooding under control and get her engine going, giving her some manoeuvrability when the rescue ship arrives. 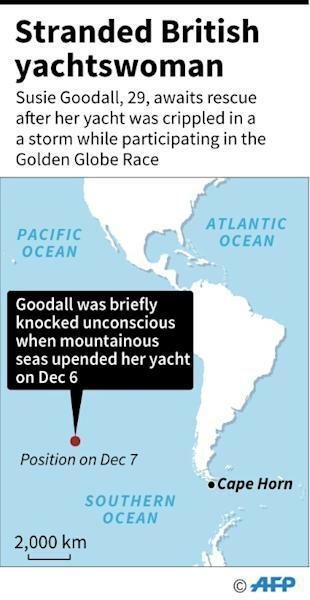 In text updates, Goodall said she endured "a looong night". "In need of a good cuppa tea! But sadly no cooker," she messaged.